Migrant organisations contribute to income-generating activities in their countries of origin through collective donations, collective investments and collective savings. Each type of activity has its respective potentials, challenges and constraints. All three share a mixture of an economic with a philanthropic logic. Income-generating development projects financed through migrants’ collective donations need to be economically profitable for the target group in order to be sustainable. There needs to be a demand for the products produced and the access to the market must be guaranteed. Collective investments need to take the often non-favourable business and investment climate in migrants’ regions of origin into account as well and have to be profitable also for the investors. As not all migrants are able to successfully engage in an entrepreneurial activity, collective savings that are channelled to Micro Finance Institutions (MFIs) and then made available to local entrepreneurs might be a more viable alternative in this case. Migrant time deposits in MFIs seem promising if the safety of the deposited savings is secured but it is still too early for a final evaluation of the related potentials and risks. Governments and social partners can support all three forms of activity but need to respect their respective logic and design activities and programmes accordingly (c.f. also Moctezuma Longoría/Rodríguez Ramírez 2000: 59). Besides, their activities must also take the characteristics of the migrants and their regions of origin into account. How remittances are used and in which way they can and will be employed for productive projects depends on the local context as remittances are shaped by local social processes, i.e. local actions, relationships and values (Iskander 2005b: 251). There can thus be no universal knowledge of how to use remittances for income generating activities. Against this background, an exchange of information and experience between migrant organisations, governments and donors seems of utmost importance. More evaluations of existing programmes and projects need to be made and shared. Systematic research needs to been done on the impact of migrant collective activities and the related public interventions, also looking closer at the type and quality of employment created. The potential of collective remittances should not be overestimated as a panacea for employment generation and development. Migrants’ engagement can not be a substitute for state or private direct investment. Moreover, for governments trying to foster these collective activities, interaction with migrant organisations can be difficult and the transactions costs are high: the organisations are dispersed across recipient countries and their activities are based on voluntary work, therefore reaching operational limits (Word Bank 2002: 17). Nevertheless, targeting migrants and their social networks and organisations, instead of the local households receiving remittances, might be a promising complementary approach in the attempt to increase the use of remittances for income-generating activities (World Bank 2002: 13). Their impact on the local level can be important, effectively complementing state and private direct investments. Really interesting stuff! They make a good case for attempting to bundle and otherwise organize remittances from the diaspora at the source. They also make a good point that the Zambian government is not necessarily well positioned to facilitate this process for a number of reasons. Which makes me wonder on the other hand, how well positioned a Tribal government might be to do so? I am reminded of your comment with regard to the 80 million Biomax mystery currency units, that if the investment were only 80 million kwacha rather than dollars, you would try to help Nchelenge by raising the money yourself. At US$80M, this specific investment is still large even if most of the individuals in the diaspora sending remittances to people living there can be coordinated, so a less ambitious hypothetical project would be more appropriate. Since I've got Zesco-on-the-brain, let's use a small power project. I am not personally familiar with the town, but with thanks to Google, I have a pretty decent sat photo to work with. The ridge East of the town presents a very attractive potential for wind power sites, and I daresay someone should probably get an anemometer on a twenty meter pole (a good enough one shouldn't run you much over 100 euros, if that) and start taking some readings (see here for examples of how my current region is promoting public access to wind potential). Any spot with winds above 27 kmph (7.5 mps) @50m elevation is considered "Excellent" (rating 5 out of 7) for power generation purposes, so say we find one on Tribal land, and bring a proposal to the Chief to contribute the use of the land and let us develop it on behalf of the community (having a properly organized tribal corporation to interface with at this stage would be extremely useful). Assuming that the project is welcomed, we then select a turbine from a reputable manufacturer such as the Jacobs model 31-20 with a 30m tower, which cost around US$50,000 (230M kwacha) uninstalled, and generate approx. 60MWh of electrical output per year at the quality of site we are assuming. Ideally this system would then be grid connected (big cost variable), and the power sold to Zesco (current commercial power tariff is 165 kwacha/kWh, lets assume that we get around 75% of that for our electricity, or 124 kwacha/kWh), for an average annual return of 7.44M kwacha, or 3.23% return on investment (ROI) for the uninstalled equipment. If we say that the whole cost of transport and installation including grid connection is double the generator cost, the ROI drops to 1.615% in the first year. Not great, but it will look better as inflation continues to act on utility tariffs, which currently lag behind. Spread over a group of 5-20 members of the diaspora, financing such a project is well within reach, even multiple such projects over time. There are several reasons why I would encourage projects of this sort despite the relatively low apparent ROI. Firstly, I have a small-businessman's hard earned loathing of unnecessary overhead costs, every dollar I can trim from operations is worth ten in the till. The sample project would avail the tribal corporation of a reliable source of either cash or electricity or both, potentially applicable to overhead costs of startup enterprises of their own, either indirectly through cash subsidies or directly offsetting power purchases. Secondly, the overall shortage of power hampers development nationwide, and regionally, and is rapidly becoming a bottleneck issue rivaling transport constraints. Any and every viable generation project will contribute significantly to the real development rate, especially if we can tip the balance back to net exporter status, where regional opportunities abound. Thirdly, it shelters remittance flows from global economic shocks, in effect amortizing distribution of the initial funds over the lifespan of the generating equipment. Presumably, by investing the initial capital in a value-added way, the eventual net worth of remittance flows would also be enhanced, to the benefit of everyone. You say "Spread over a group of 5-20 members of the diaspora, financing such a project is well within reach, even multiple such projects over time." The initial capital is the problem..I see that $50,000 is feasible, but that "big variable" to ZESCO means that presumably, you get no return in the first few years, as you pay your upfront connection cost to ZESCO. I guess I am trying to work out...is this $50,000 project is that just the beginning...? Indeed, much depends on ZESCO policy, and the peculiarities of the site to be worked with. Unless it is extra-ordinarily windy there, the low elevation of a lakeside property are unlikely to have the sort of "excellent" wind speed rating I described in the example, however "acceptable" or "fair" ratings are not uncommon near water due to consistency. It would affect profit and scalability significantly, so wind is probably not the best fit. The key seems to be scalability of small scale successes, and leveraging existing environmental benefits into sustainable returns that are reliable. That steady, provable kind of income can, in and of itself stimulate credit availability. When the overhead is truly low, ideally labour only, and that ought to pay for itself plus some, or why bother at all, and the costs to the environment are sustainable (or less, often nature will add more if you let her work over time), then it truly is close to that elusive capitalist alchemy, lead into gold, something for near nothing, step right up, you can't lose -- only you really can't (something close to what I think MrK is talking about with copper reserve backed currency, I'm not convinced it works as well when things aren't alive). Given abundant land, especially coastal land, there are several things that can be started for very low cost, and self-sustaining thereafter, profitable depending on scale and market access. One example is guano islands such as this one in Namibia. In many cases just building one prompts migratory birds to visit or nest on the island, and deposit their valuable bounty on thin sheets of plywood or strong canvas attached to the top of the island, for easy removal. All the birds appear to require is a flat, dry space somewhat isolated from predators in the water or on shore. Size of individual platforms does not appear to matter much, just total surface area, migratory birds usually cluster by preference. Should save you a bundle on fertilizer if you have ongoing agricultural activity, or plan to start some, or you can sell it to people who know what it is for you can get good cash for value. Vermiculture, which MrK also speaks of often, is remarkably easy to do (like anything else, eventually it becomes highly competitive and specialized once enough players identify the market) using most any nonporous container with controlled drainage. Otherwise defunct bathtubs are ideal for the purpose, but less common in Africa than in the Western countries where the techniques were pioneered. A tightly constructed, reinforced plywood vat sealed with caulk and drained via slanting the bottom and using a single manual, binary on/off fitting salvaged from anything resembling a tub drain. Lining with plastic (grades used for landscape japanese-style fountains and streams are ideal) will extend the lifespan of vats by a worthwhile multiple. Worms will consume table scraps of a leafy or carbohydrate base, simply place on top of soil, since casings are the desired product, it is good to encourage the worms to move to food sources. As they move through the soil, their digestive process enriches it tremendously, making it ideal for horticulture or other high fertilizer crops, or simply replacement/enrichment rotation on depleted soils. Excess worms can be introduced into new vats or directly into fields, or used a highly effective live fish bait. Returns are similar to guano, i.e. dependent mostly on market identification, as are costs, i.e. startup and labour. Hmm, everything else I find myself starting to consider requires more information about the site in question. How much land are we talking? In what state? How much lakeshore? What kind of shoreline fluctuation and drop-off? How close to municipal power/water/sewerage and at what capacity (how far to greater capacity)? For the structure itself, hospitality or other service industry conversion would be highly location dependent, with road distances, qualities and proximity to key interchanges and residential/commercial concentrations paramount. Given suitable location, the building itself comes into question. Do you have precise lat./long. for the property? I may be able to find an aerial, Google available resolution is woefully inadequate for Nchelenge and Luapula in general (I don't know how they prioritize their overflights, maybe an email campaign is in order). It would be rather a relief after so much theory to be able to sink teeth into a location on which we can obtain hard and fast data, as well as implement plans which meet your approval. Today I handed a Cuban immigrant a New Shorter Oxford Dictionary (both volumes) for himself and a modern chemistry textbook for his teenage son, and the look on his face was worth far more than the cost of the volumes themselves. Good word for it, volumes. He has promised me that he will turn the resource into a diploma in english, which will be worth more economically than the one he has in spanish, and even more than that because he will have both. That will qualify him for office work, which will enable him to work in spite of his physical disability. The chemistry book is because his son did not qualify for the public school program, which has been cutback, so now only some students are permitted to learn chemistry. A lot of good can be done with your property, as I am certain you realize, and it would be an honour and a pleasure to lend whatever assistance I am able. Even though the wind project may not be suitable to your land in particular, that ridge is still there, and there are doubtless many other suitable sites all over Zambia, plus the model for solar is almost identical (other than higher average cost per kWe for equipment), so I will elaborate some more on the comparative advantage of high cost installation with low cost maintenance/input in this relatively high inflation environment. Assuming that building the physical grid connection infrastructure requires US$50,000 on top of the generating equipment (this may not be the case, especially for solar installations, which can be positioned much closer to existing power poles, then it becomes more of a frequency/surge issue primarily), and a wholesale power price of 124 kwacha/kWh sold into the grid, the annual return in the first year is only 1.615%. However power tariffs cannot lag too far behind general consumer inflation without stifling investment in sector growth, so let's amortize an 8% annual rate increase in wholesale power prices as a conservative medium term projection. In the second year then the price increases to 133.92 kwacha, cost for inputs drops to zero (assuming wind remains free, see Bectel's attempts to include all rainwater in their municipal water contracts in S. America), and labour consists of someone to check the brakes are working in the event of wind gusts beyond the operating capabilities of the turbine. Gross receipts would go up from 7.44M kwacha in the first year to 8.035M in the second, 8.668M in the third, 9.372M in the fourth, and 10.122M in the fifth, or 43.637M over the first five years, average 8.727M/year. This allows your remittance to grow at a pace close to consumer inflation in Zambia, while your own salary continues to grow (or shrink) based on consumer inflation and market conditions elsewhere. Nchelenge Option 4: Tilapia aquaculture seems a likely candidate to explore, given highly variable costs and yields depending on site requirements and owner priorities. It is possible to conduct tilapia aquaculture in a very low overhead fashion, reliably improving local diet and/or export income. Tilapia is currently the third most imported seafood product in the US, after salmon and shrimp, and has a healthy market share for fresh and frozen fish in the EU and Japan. 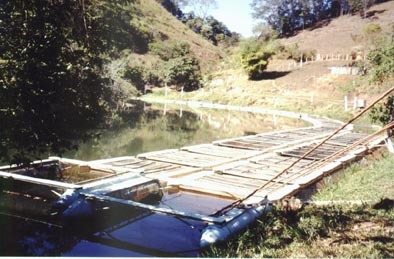 Medium intensity effort in Honduras, using floating net pens, relying on local ecosystems to filter waste and maintain favourable water chemistry, but utilizing high protein feedstock to speed growth rates. 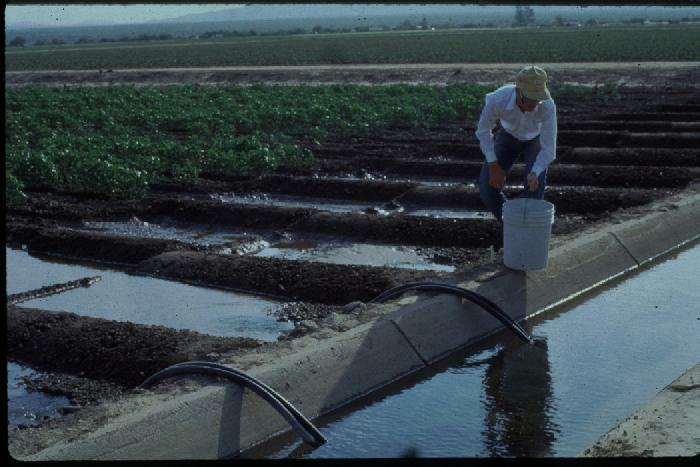 Irrigation ditch systems adjacent to crop fields at the University of Arizona, where fish habitat is merely one stage for irrigation water on its way through the agricultural matrix. Another look at the same system, adjacent fields contain cotton. In Brazil floating pens along the shoreline are covered to shield from heavy midday sunlight. Live cargo tanks are very versatile, and can help with large operations or to help seed new farms and crossbreed between them. Lake Harvest Aquaculture (Pvt) Ltd from the Zimbabwe side of Lake Kariba, is a large scale operation using a combination of tanks, ponds and deep water cages. Assuming stabilization of Zimbabwean export activities in the future, this could be a good partner for export marketing, especially for other operators on the Zambian side of Kariba (otherwise they are a formidable competitor for the region). I am just returning to active reading of posts after a busy schedule. I suspect there will be a series of responses to your many insightful comments. In terms of the area we are dealing with. I will see if I can dig up some photographs. But basically, I have two sites in mind. One of them is farm outside the greatly cultural capital of Mwansabombwe. It is essentially a farm, with a river passing in the middle. I had scoped with the possibility of bee farming there, but the idea remains theoretical. The land is largely dormant and awaits my time and of course ability to finance it. The place is quite big, and some road exists from it to the main road, though undoubtedly large scale cultivation would necessitate proper redevelopment. The second is the one I mentioned earlier, and one which I have been spending time of late to assess what can be done about it. It is essentially, a nice plot of land (with a bungalow) overlooking Lake Mweru. The area of land goes right into the lake. That said, a viable project need not necessarily be restricted to the above sites. As I noted, there remains scope for other land in the area. The Biomax acquistion of land is the norm,rather than the exception. In terms of entreprenueral opportunities. These are plenty in the province. As I was thinking about your assessment of hydro or wind power requirements, Kawambwa came immediately to mind. It has great water sources and certainly fairly hilly. But opportunities also extend to other areas e.g. Mambilima Falls which remains totally untapped, but of significant historic reasonance. In short,Luapula has excess supply of land and endless scope for projects. The farm sounds suitable for a number of modular start ups, and while I am no fan of intellectual property theft, I like to think that I know a good idea when I see one, and the more I look at earthboxes, the more I like them. Besides, I frankly don't think that they are really interested in profiting from places like Mwansabombwe any time soon, based on their charitable work with The Growing Connection, and we wouldn't be drawing directly from their patents in any case. The concept is painfully simple, as the DIY crowd on Youtube demonstrates, Whisenant deserves credit for building a better mousetrap, but the cat is out of the bag . . . It occurs to me that there is a certain young gentleman of your acquaintance who knows a bit about bricks, and doubtless there are more than a few people in Luapula who can handle pottery, what are the chances of setting them loose on some self-watering containers? Plastic is widely viewed as a superior material due to the difficulties it poses to fungi and other invasive organisms, however ceramics, possibly glazed to reduce porous surface area, would seem equal to the task, if somewhat heavier to move around. All that is required is a small tub (earthboxes are only 74 cm (29 in) long, 34 cm (13.5 in) wide, and 28 cm (11 in) tall) with an overflow hole 4-5 cm above the bottom and a slight outward/upward taper and a lip; a length of tube or pipe approx 2-3 cm by 30-32 cm; a screen (could also be ceramic) which will be arrested by the taper of the tub just above the overflow hole, composed of close-set holes which are about 5 mm wide, and containing in one corner a hole of the same diameter of the pipe, and in another a 5 x 5 cm cutout to allow one corner of soil to reach the tub bottom; and a piece of opaque plastic sheeting (white for hot seasons, black for cold, ideally) secured to the top, most preferably by elastic, but string or wire could do in a pinch, close to airtight is the goal. The benefits are tremendous, not least of which is application of dry fertilizer only once per season, and half the watering requirement, which is further simplified by simply keeping tub reservoirs from becoming empty. The plants will draw only as much water as they require, and will be virtually impervious to weeds. I am particularly intrigued by the orchard potential, when the technology is put to use on citrus trees it appears to produce a bushier, shorter tree which nevertheless yields comparable fruit to their ground rooted brethren, only at higher density per acre (700 trees/acre vs 200 trees/acre), and without the need for ladders to harvest. Even maize density is impressive, with 16 plants recommended per box, and room for over 2000 boxes/acre at about 1m x 2m spacing (based on data for commercial tomato farming, maize may be amenable to even higher densities). That's 32000 plants on a single acre of land, which can be as infertile as a parking lot (although potting soil does have to come from somewhere originally), but each box should be kept relatively level. It should all be well within the reach of the local skill base. In terms of the overall area and power generation, I would only make use of hydro sources which interfered with the natural beauty of waterfalls with great reluctance, as they are highly valued in the tourist trade, especially when several are clustered together like those around Mweru. In my region, the Columbia River Gorge Commission leverages income from waterfall seeking tourists into development loans that diversify the local tax base within the overall management plan. There is a lot of hydropower development in the area, but the waterfalls more than pay for themselves untouched. It is hard to make grid-connected wind profitable at current Zambian electric tariff rates, for example in the US market, the Conergy Southwest Windpower Skystream 3.7 household model (retail US$6,200, 400 kWh/month @5.4 m/s avg windspeed) is popular in high cost areas, but at retail US$6,200, is simply not a winning proposition connected to the ZESCO grid, even with generous terms. At present rates it would take well over ten years to repay the cost of the system alone. Wind needs to be scaled up considerably to be viable on the grid, however the further off the grid you get, the more practical it becomes. My favorite ascetic design has to be the Helix Wind vertical shaft design, which operates in almost any wind speed from any direction, and is also rather pretty from a certain perspective. The time lapse film of assembly for wind tunnel testing is quite enlightening and reveals the relative ease with which such designs can be shipped and assembled. Again, I would hate to steal someone's good idea, but if the technology once fully commercialized isn't within economic reach, perhaps a less efficient, but far less costly, home-made design is possible, utilizing the same principles. I feel somewhat similarly about using solar concentration to power stirling or steam engines, great idea to combine two technologies each of which is centuries old, but that's just it, both are old news. Here also the Youtube DIYers demonstrate the principle with simple or salvaged materials. Even making a near perfect parabolic dish mirror is surprisingly simple. I'll close this already long post with one last intriguing bit of simple engineering, the Pulser Pump, which strikes me as an appallingly simple and cheap way to fill water tanks with very low head hydro potential. * Where am I going to sell the products? * Who is the customer? * What is the size of the potential customer base? * Where do the customers live, and how will their location influence my selling to them? * What are the customers’ needs and desires? * Am I going to sell directly to consumers? * Am I going to wholesale to the commodity market? * What are the seasonal price fluctuations I can expect? * What are the quality standards that I must meet? * How many hours will it take to research direct markets? * Are there legal or food-safety considerations? * Do I have time to devote to this new enterprise? * Does the workload correspond with the time of year I want to work? * Will the new enterprise complement my current enterprises? * Do I have written objectives describing the desired outcome? * Do I have the skills and experience necessary to do this? * Do I like to supervise people? * Have I managed a business before? * Do I have enough personal energy to do this? * Can I count on my family members for support? * Do I care what the neighbors think about my new enterprise? * Why do I want this enterprise? * What is the water drainage like? * Are the soils suitable? * What is the seasonal rainfall pattern? * What will happen to my enterprises during a flood or drought? * Are these plants or animals adapted to this climatic region? * Are there water resources available for irrigation or for watering livestock? * Do I want concurrent uses for the land such as wildlife conservation, fishing, or hunting? * Do I have adequate facilities? * What additional machinery will I need? 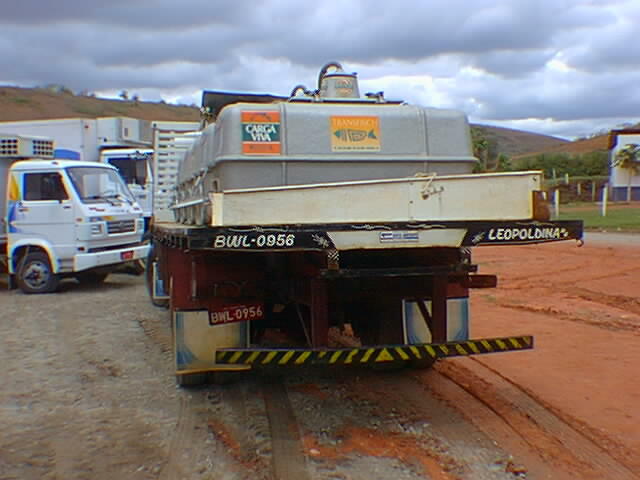 * Can I rent or borrow machinery or storage facilities? * How much labor will be required? * What is the source of labor? * Is seasonal labor available? * Will I need housing for my workers? * Does this enterprise use existing labor in off-seasons?" After these kinds of questions are answerable, then they get into the process of financial assessment, marketing and budgets. One project idea I am thinking as using as a hypothetical match would be a relatively traditional crop like maize (which I suppose is probably cassava in Luapula, but naturally there's no data for its cultivation in data rich places like Europe and N. America, lots of maize data for comparison, can adapt later to cassava specifics), grown in-ground using procedures well known in the local skill pool, alongside a gradual increase of earthbox farming of maize, soil composting and vermiculture, and onsite organic fertilizer production. Once capital investments in earthboxes can be translated into lower overhead, and the skill base catches up with the changes, exploration can begin into aquaculture in or along the rivercourse, orchard establishment, beekeeping, and alternative crops like vegetables or jatropha. One goal would be to limit overhead as much as possible to labour costs, import substitution if you will, in order to cushion against variability in capital investment flow (bundled remittances/tribal capital) year to year, as well as maximize use of capital for infrastructure improvement and income diversification rather than operational overhead. The assumption being that if labour can be contracted on a shared-crop basis, there is almost no chance of running out of operating cash in the worst case, and a mutually beneficial profit sharing circumstance in the likely case. Best case would be scalable and applicable as a template across the province and perhaps the country. No rush on responses, I'm having a blast learning about all this stuff, but do please let me know if you feel like I am running too far out ahead of the game in modeling, I don't want to hijack the process before the people like yourself who actually have to live with any unintended consequences there have a say! I was reading the International Institute for Sustainable Development report on the 15th session of the committee for inland fisheries and aquaculture of africa (CIFAA), and I was particularly interested by the bit where they talked about the high levels of post-catch losses, reduced value of salted or smoked fish versus fresh, and the need for better refrigeration options to enable fishermen to reach lucrative markets or hold out for fairer prices. I wonder to what extent Nchelenge/Mwansabombwe is currently able to preserve catches? Given the fishing economy already in the area, a relatively easy way to add value would be distributing ice for cold boxes to fishermen for easy storage while transporting fresh catches to markets. Homemade insulated boxes lined with emergency space blankets (reflective mylar) can be extremely effective, maintaining even dry ice for days before melting. A standard electrical, air-cooled condenser of similar capacity would only cost about US$4,000 installed, however would require around 0.36 kWh/kilo to produce ice as well as a water line with at least 138 kPa (20 psi) of pressure. The economies of scale in larger ice makers are significant, and in areas where water use is not an issue, water cooling can reduce power consumption by half. At current power tariffs there is no reason to use an ISAAC system if both power and water can be connected easily. If tariffs rise to match increased regional demand for power, or if load shedding becomes more common and widespread making ice supplies uncertain, then the economics of the ISAAC become more reasonable even for grid connected operations. There is another aspect to the original article for this thread which I think should be addressed as well, my apologies to readers for the abrupt shift. After watching various exchange rates crawl past every day since I first read this article, it suddenly occurred to me today that if remittances could be pooled for a time before being delivered to final recipients, the fluctuations of the various currencies of origination could be maximized, and exchange losses minimized over time. For example, if person A sends home US$1000 every month, and person B sends home EU$1000 every month, and both remittances are converted into kwacha by the recipients, then if both agree to put up a few months worth in advance they can at least cushion the exchange rate to the average of the two currencies, and at best they can time exchange transactions such that the stronger of the two currencies is always converted first. There are risks involved with trying to time the exchange market, however averaging exchange rates over time poses little risk, less so the more currencies are added to the basket. The larger the upfront investment, the longer a trading window there is, as well as the opportunity to earn interest in order to further cushion risk (BoZ currently pays 3% on foreign currency deposits I believe). Just a thought. The checklist is very useful. The water is plenty because a small river passes right through the farm. Its smallish...so it cannot generate power! But in general, the area is fertile..ha! the farm is full of mangoes...lots of mangoes...they have just sprung up right left and centre..some sections of it also have cassava and maize..
Basically the place is dormant so my cousins who look after it just grow things....and of course a large part of it is full of grass..
On the refridgerated fishing opportunities. Lake Mweru used to have Isabi Investments. I think the company went out of operations or may be it is still there. Basically they used to use / or still do use the refridgerated trucks after securing the fish in the area from fishermen. They would store and then ship it to other parts of Zambia. It was very lucrative. Actually the fish business remains lucrative. A friend of mine used to do it and export it to Zimbabwe. It is viable, but seasonal as fishing is not all year round. There are periods to allow more breeding. - a skilled machinist/mechanic capable of manufacturing or adapting key parts or spares and maintaining or repairing equipment. - someone who knows their way around laboratory procedures so as to allow for soil, water, and other chemical testing to be done safely on site. - a skilled electrician, who understands the art of distributing and balancing loads to avoid inefficiencies and equipment damage from improper wiring. - a reliable treasurer and/or accountant who will be trusted by all participants to manage cash flow and protect against fraud. - someone who is familiar with local weather patterns, animal migrations, and other seasonal or geographic factors which might affect any given project. - someone respected who is capable of general oversight and delegating tasks and authority to the various personnel above in an appropriate fashion. The best resource I have found so far on fisheries in and around Mweru is this preview from Towards Negotiated Co-management of Natural Resources in Africa, by L. B. Venema, J. P. M., 1999, pp 283-297. Does the structural arrangement described therein accurately reflect the present state of things? For Mweru fisheries, I also came across this paper, Co-managing the Commons, Setting the Stage in Mali and Zambia, by Thea Hilhorst and Nettie Aarnink, (Bulletin 346, Royal Tropical Institute, Amsterdam, 1999). "The water is plenty because a small river passes right through the farm. Its smallish...so it cannot generate power!" You would be amazed at what can be done with a small amount of consistently flowing water. The challenge will be to use it as much as possible and still return it to its original channel as clean or cleaner than it was when it came onto the farm. Any rough guess as to the total "head" (how far it falls from one end of the property to the other) and flow (how many cubic meters per second enter the property) of the water? Even a gentle slope can add up over distance, and a few meters can be leveraged in a number of ways, some of which could theoretically be accomplished by your cousins without much in the way of outside investment. The simplest device I have seen for harnessing a 1m weir for irrigation purposes is the "pulser" pump. The principle is simple: Using a cut top from a plastic 2 liter bottle positioned just beneath the surface of the water behind the weir, a fixed frame or float system to support it, and a hose, allow turbulent water carrying air bubbles to fall into a small reservoir 2m beneath the weir, creating temporary pressure of 3m of head within. By placing a second hose of appropriate diameter at the top of the reservoir, a small percentage of the water will be forced upwards through the second hose in alternating "pulses" with the escaping air. The remainder of the water is released to the downstream side of the weir. The water from the pulses can be lifted as much as 5-6m above the source, into an elevated tank for example. the total flow at your disposal at a substantial increase in pressure, without impacting on the ability to make other use of the remaining flow and head over the remainder of the property. Since the pulsers will continue operating as long as the water keeps flowing over the lip of the cut bottle quickly enough to be mixed with air by turbulence at the bottom spout, it is advisable to attach some sort of outflow and flume to the top of the tank (unless it is very large or frequently emptied), either to carry excess water further onto the farm, or to return it to the upstream side of the weir. Any downstream weir should be accompanied by perpendicular trenches of gravel and beneficial plants to collect and purify runoff from irrigation on the farm before it is returned to the river. Depending on the circumstance and total head and flow of this particular river, the downstream weir may simply be a replication of the upstream weir for the next farm over, or it may represent a larger effort to collect and harness the entire capacity over the length of the property. I eagerly await pictures! Photobucket.com is a free and reputable personal image hosting site if you need one. Mangoes is great, people pay good money for organic mangoes where I am if you can compete with the Indians for quality, they bring as much as US$10/kg wholesale, and the ones from Mexico and California still fetch US$3-5/kg depending on quantity. That's just for the fruit, there are lucrative value added products galore, like chutneys, syrups, blended juices and concentrates, ice creams, and cosmetics (mango scented jatropha oil soap!) just to name a few. Oh and salsa has become the top condiment in America, and cans of diced mangoes are an increasingly popular ingredient. I would love to hand my chef a can of sliced or cubed Mwansabombwe mangoes, even better a crate of fresh fruits (though I hesitate over the ethics of moving fresh fruit so far just to tickle my customers' tastebuds), better still if I can promise him there are more to come on a predictable schedule. On the other hand I know next to nothing about growing, processing, or preserving them during transport, so back to the books with me! My winner for most innovative low head/high flow hydropower solution is hands down the Zotloterer Gravitational Vortex Power Plant designed by Austrian engineer, Franz Zotlöterer using ideas pioneered by Viktor Schauberger (1885-1958). One can watch video of the prototype in action here. Unfortunately I have yet to access english versions of the technical literature, but one of these has apparently been operating connected to the european grid since September of 2005. The simplest device I have seen for harnessing a 1m weir for irrigation purposes is the "pulser" pump. If you have the time, please render your opinion on this method of irrigation, which is very low cost, and was designed for dry climates like Australia. I would like to see this kind of sustainable agriculture taken up on a commercial scale. I think it would be perfect for subsistence farmers switching to larger scale production. Education would be necessary, but that is a given with any business venture. Keyline plan irrigation is an improvement over traditional (primarily) asian style terrace farming in that it makes use of modern survey techniques to obtain highly accurate topographical mapping, and allows for lowest point precision, making for transfer of water from terrace to terrace possible without erosion through planned gates. This helps to defer the effects of soil compaction from exposure of uncovered soil to rains and farm equipment, however has yet to my knowledge to be combined with no-till cover crop practices which have proven to be more effective in isolation than Keyline irrigation in isolation in improving water absorption, nutrient retention, or erosion prevention. I would be very interested to see the results of a combined Keyline/no-till system, as I suspect that an effective compromise between the two might produce excellent results in undulating terrain with variable or seasonal rainfall patterns. In doing so I am conjecturing that many of the compaction and other problems requiring tillage in the Keyline plan could be alleviated by cover crops during the dry and initial rainy seasons, while many of the uneven nutrient distribution and water pooling problem of no-till system on undulating terrain would be alleviated by Keyline planning. I am also concerned about the impact of "Flood-Flow Irrigation", as while Keyline claims that their system distributes water quickly enough to prevent the negative impacts of traditional flood irrigation, I am not convinced that there is yet enough data, especially on salinity (which is especially bad in Australian soils). They also don't make clear how their system adapts in times of rainfall insufficient to fill reservoirs, and alternative irrigation must be applied to all or part of the property. One major hurdle of Keyline systems in the Zambian context is the reliance on highly accurate surveys of every meter of ground. While this is cost effective in the Australian context, it is my understanding that the backlog of land grant requests awaiting competent surveyors is measured in years for Zambia, and that is just to obtain title to work a plot, let alone design an accurate Keyline map. With a thousand extra qualified surveyors and grants or farm incomes sufficient to employ them all for a decade might make a dent in the task, but while the infrastructure is considered cheap in Australia (with an overabundance of earth moving equipment and 1m resolution military generated topographical survey maps readily available), I am not convinced that it would be anything close to cost effective at this time in the Zambian context. As with many of the most advanced agricultural systems we may wish to see implemented, what the developed world considers cheap may still be prohibitively expensive for rural third worlders, primarily due to the relative advantage to be obtained from past investment in public infrastructure and skills development. At the same time, like the use of steam engines in modern solar power generation plants, conducting an accurate survey of farm topology is hardly rocket science, and the qualifications are well within reach of most any secondary school graduate with decent scores in math and geometry. The equipment is hardly new either, having been adopted directly from the days of celestial navigation, and only superficially improved in the time since then. As always, the biggest hurdle is capital formation, and the benefits of Keyline adaptation of Zambian farms may not pay off terribly quickly due to the high initial overhead. Agriculture investment in mechanization is probably a prerequisite before adoption of full property passive irrigation systems like those offered by Keyline, or Spanish Vault in-field greenhousing and the like. They also don't make clear how their system adapts in times of rainfall insufficient to fill reservoirs, and alternative irrigation must be applied to all or part of the property. Permaculture Water Harvesting, which is about water harvesting through swales or shallow ditches, which is then stored in the soil for later use. 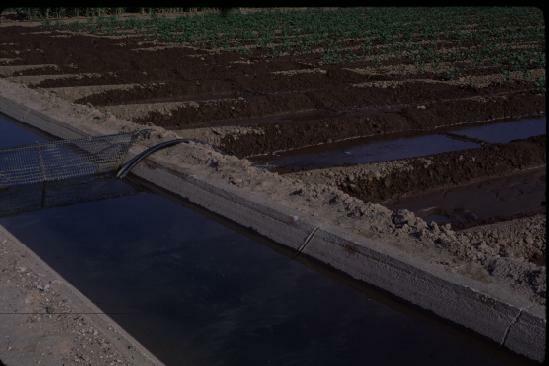 There is no evaporation loss using this method, and the water becomes available at lower levels only after a while, where it can be stored in ponds and the surplus flow through into other swales, etc. I don't know how slowly the water moves through the soil, but with enough land available above the pond, you could calculate the months or even year before the water filters down to the pond. Indeed, I agree that the pond and swale systems are superior to traditional methods of farming in Australia, Israel, and other very low rainfall countries or regions. Botswana, Namibia, South Africa and Southwestern portions of Zambia ought to be able to adopt many of these methods largely unchanged, assuming that they can obtain the survey maps and move the earth accurately. Adaptation to the Zambian context of seasonal rainfall will require fairly extensive soil testing and flood mapping in addition to topographical surveys. One thing the PWH methods described does not address is the evaporation loss through the plant itself and surrounding exposed soil, which is a big reason why the Spanish vault tents are popping up everywhere, especially for fresh produce and flowers. This is also why the plastic cover on Earthboxes is so crucial, because their system also relies on soil wicking from standing water beneath the plant. Plants are after all highly adapted to use roots as wicks to draw water, and soils retain water based largely on their organic matter content. This is the main reason why no-till and cover cropping works to reduce irrigation requirements and nutrient runoff, because these methods increase organic matter content significantly over time. Data displayed here demonstrates the relationship between organic matter content (OGM) and agricultural runoff, and clearly shows that an increase from 1% OGM to 4% OGM (this transformation is common after 5-10 years under no-till following even centuries of full tillage) more than halves the runoff. I strongly suspect that passive irrigation and no-till can go together quite nicely, but haven't found any definitive evidence yet. The Western Australian No-Tillage Farmers Association has 1370 members, so perhaps one of them has experience with both the Keyline system and no-till practice. Mangoes are an excellent source of retinol (vitamin A), providing 400 RAE (retinol activity equivalents) per medium sized fruit. The US Recommended Daily Allowance for men is 900 and for women 700. Sweet Potato packs about 1500 RAE into just a single 250ml serving. A medium sized carrot will give you 1000 RAE. USAID is currently running programs in Zambian schools to provide vitamin A supplements in tablet form. Sometimes I just shake my head and wonder, you know? Tier 1 Goal: Establish productive activities and improvements on the existing property in order to provide positive cash flow, local employment and skills development, and equity acceptable as collateral in a Zambian context. - Tier 1 Step 1: Establish operational capacity for general irrigation, electrification if necessary, vermiculture and composting, and tillage/no-till soil preparation via animal traction (oxen can be replaced if/when operations reach volumes justifying mechanized traction). - Tier 1 Step 2: Divide land and irrigation capacity into separate operational categories (e.g. Mango Orchard, Cassava, Maize/Cover/Legume, Tilapia Ponds, Livestock). Develop individual business plan for each category, assuming extra 12 months operating capital beyond the point of first bringing products to market (in practice this can provide adequate cushion for several years of operational losses as capacity increases, markets are identified, repeat business established, etc.). Tier 2 Goal: Establish multi-purpose cannery/packing plant to add value to local produce and fisheries, either on/adjacent to the existing property, or in some more suitable location (location, location). Tier 3 Goal: Diversify into additional agricultural outputs and specialty value-added products such as cosmetics or biofuels, as well as farm extension services and equipment rentals/sales to local supply chain members. Tier 4 Goal: Reproduce in scalable plan form for other Tribal Corporations in other Tribal areas. These projects are not necessarily dependent on the timing of the main project tiers, and can be capitalized and run separately, or eventually out of profits from completed main project tier operations. MTC Laboratories: Research entity and catchall chemical testing provider. Should grow and gain functions as the rest of MTC grows. MTC Community Credit Union/Building and Loan: Self explanatory. MTC Sustainable Power Corp: Selective placement and grid integration of wind turbine, solar thermal concentration dish and trough systems, photovoltaic arrays, biomass pyrolytic generators, and gravitational whirlpool water treatment/hydropower installations. Investment pattern entirely dependent on upcoming developments in installation and operating cost per kWh of various methods, as well as identification and best-use assessment of appropriate sites. Co-generation and waste heat capture potential for integration with other MTC entities should be examined in detail. Ntumbachushi Falls Visitor Centre and Museum. This will enhance revenue extraction from persons drawn to the natural beauty of the falls, as well as tie the preservation of it to overall preservation of local culture and history. Employment of persons living in the immediate vicinity will enable them to benefit directly from developing around the falls, rather than developing the falls themselves. Items to be sourced and resold include bottled water and juices, cold or frozen treats, picture postcards, maps, film, batteries, children's colouring and story books, writing and drawing implements, local artworks and art kits, t-shirts and caps with logos, traditional garments, and musical instruments. Collective branding under the museum umbrella will facilitate globalized market presence via Novica.com or others. Nchelenge Lakeside Honeymoon Bungalow and Day Spa: This probably begins life as a more humble guest house, but the goal would be a high end tourist accommodation specializing in newly married couples looking for a unique and memorable experience. Provides (temporary?) employment for property manager, cook(s), maid(s), masseur, beautician, driver, security guard(s), gardener, and booking agent. Arrange everything around sunsets over the water, open flame lighting/heating (within reason), and a sense of romantic isolation. Pulser pumps are not terribly efficient, just interesting because they are so simple and cheap. The next simplest from an engineering standpoint, more expensive and effective method of harnessing water power is the paddle/bucket wheel. While most of us are familiar with the concept of water wheels fed by flumes from above, it is also possible to harness the power of relatively flat stretches of water using flat paddles. You can obtain a lot of elevated irrigation water using surface flow activated water wheels such as these pictured in Japan. Lift is limited by the diameter of the wheel, capacity will be limited by "work" potential of wheel (horsepower = ((torque x rpm's)/5252)), so lift buckets should be sized accordingly to maintain rpm's at the kg/m^2 rate harnessed from the flow. Such designs can be made very large and the high torque used for axle power (e.g. stone mills, belt driven mechanical systems, and even electric generation with sufficient gearing (min. of 1 hp required to generate 746 watts)). The vision is very much in line with my own. I thought you have captured the Nchelenge bit perfectly well too. I am hoping to upload some photos to flickr to give a sense of both sites. And of course, I shall come back with more detailed thoughts on each of the tiers. Otherwise, the model is well thought out..as always.. I have tried to upload some photos extracted from 2006 trip. I hope you can access them here. Yikes! That's pretty lousy policy on their part I'd say. That also may explain why I don't come across too many Flickr images via Google services, and why Panoramio doesn't turn up on Yahoo search much. In any case the pictures are great, very helpful! The Mambilima Falls are incredible! I think you have the beginnings of a tourist brochure already! How far from the Nchelenge plot (which I have tentatively placed at Lat. 9°21'30.00"S Long. 28°44'15.00"E based on the two photos)? Kapweshi indeed looks very fertile and suitable, a few pictures of the river (especially during different seasons) would be great. Perhaps the first of all investment activities should be to endow MTC Labs with digital camera equipment? How hard to get a shutterbug cousin to an internet cafe or other access point? If far, then add it to the list of ancillary investment potentials long term, and look into equipping the lab section with some kind of networked computer, otherwise it will be very difficult to operate as a "global" company. The more so because so much of the success of MTC projects is going to depend on knowledge transfers to local personnel, and understanding of local expertise by external planners and investors. As a model for high end accommodation in our sort of context, I don't think anyone does it better than Francis Ford Coppola Presents. I have had a tour of the Turtle Inn, and it is everything a wealthy tourist would want, without being high tech, in fact the low tech is a part of the price! In each bungalow, the roofed lavatory area opens seamlessly into a private stone walled garden, with open air shower and intimate seating. Tubs are positioned at the edge of roof eaves, so that during rains a curtain of water flows just past the edge without splashing in. The workers really love it there, and were eager to tell me all the ways that the management had personally helped them and their families. I even spoke to one young man who told me that when Francis came to visit and saw that he had no watch, he simply removed his own and handed it over. The young man explained that for Francis it was example of how he did business, after all it was good for everyone that employees who were helping tourists maximize their enjoyment of the facilities and surroundings knew what time it was. I saw the watch, it was very nice indeed, without being ostentatious. openarchitecturenetwork.org is a fantastic resource, with nearly 2200 projects available online for review, and a membership base of 15000. Inexpensive means for current and aspiring builders to get info on both new and time tested techniques. The Francis Ford accommodation certainly looks very high end. I suspect most of the safari lodges have developed the same model. Its certainly very good. Mambilima Falls is about an hour drive. The problem with Mambilima is that the government has just neglected. The whole area is just waiting for someone to build a fantastic hotel and set up shop as a tourist operator. There's huge untapped potential around Mambilima. The land strangely does not appear to be in demand. I have left this thread too long! Much as I love everything else we do on this blog, as important as it all is, this thread is the closest we have come to real on the ground practical action. I am resigned to the reality that the cost of my personal travel to Luapula could be better spent empowering locals. I would dearly love to show up in person and act as "living encyclopedia" for local development, however all practical evidence indicates that I am more useful where I am. The only way that actually works however is if the locals actually have a plan and the know-how to execute it. You have generously offered up your own personal resources as a template for direct diaspora involvement in tribal, regional, and above all motivated individual development on the ground where it is most needed. I want to help you turn that generosity into something tangible and meaningful that inspires any and every person who comes into contact with a conception of their own human potential and the glorious empathic existence available to them if and when they choose to become a part of such a whole. What is the leasehold status of this undeveloped land around Mambilima? Again, how hard is it to leverage digital photo assays of these properties? The tangible (international) value goes up with documentation (information age. location, location, location). Thanks for your commitment to this. As I indicated in the email..I'll definitely draw up something and look into the feasibility of the photo essay idea..